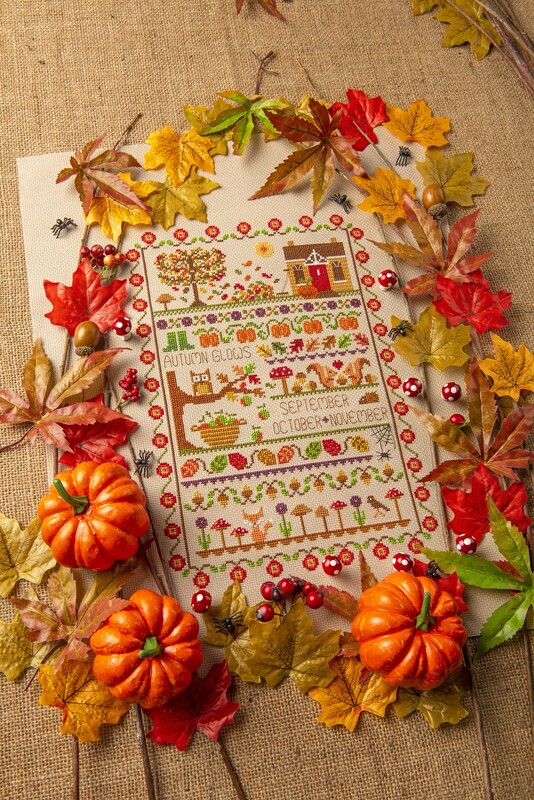 Everything you need to make Cross Stitcher magazine's Ode to Autumn from issue 336. Zweigart 14 count aida in nougat, skeins of DMC stranded cotton, DMC Black light effects,, two gold-plated tapestry needles; size 24 and size 26. PLEASE NOTE: Project pack does not contain the chart. The chart can be found in issue 336 October 2018 of Cross Stitcher Magazine. Everything you need to make Cross Stitcher magazine's Ode to Autumn from issue 336. Zweigart 14 count aida in nougat, skeins of DMC stranded cotton, DMC Black light effects,, two gold-plated tapestry needles; size 24 and size 26. PLEASE NOTE: Project pack does not contain the chart. The chart can be found in issue 336 October 2018 of Cross Stitcher Magazine. Due to the amount of items contained in the project pack, please allow an extra 3-5 days for packing and delivery.